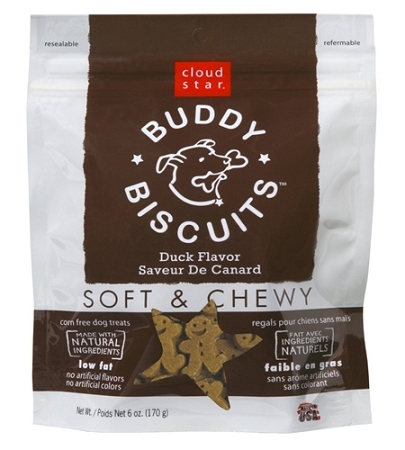 Home > Treats > Cloud Star® Soft & Chewy Buddy Biscuits®, Duck Flavor 6oz. These treats are great for all dogs, even those with allergies or sensitivities. No artificial colors or flavors. No preservatives, corn or soy! 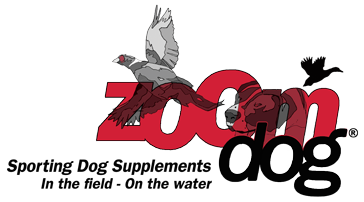 "Quite Possibly the Best Soft Dog Treats Ever!" Finally a soft treat to feel good about! No propylene glycol, BHA, BHT, and other nastiness commonly found in soft treats. The resealable bag will help keep freshness in, but we can't guarantee it will keep canine noses out! Fun gingerbread man shape!